Today’s is a two–part post, all about water. Number One: Man puts junk in water. No man is an island. But out in the middle of the Pacific Ocean, man has created an island. An island of trash. I heard of this phenomenon some time ago, and I found my mind circling back to it occasionally. It sounded farfetched, incredible, too disgusting to be true. But I finally decided to learn what was what. It’s easy to put something out of your mind that takes place a thousand miles off the coast of California, in the middle of a stretch of sea that is an oceanic desert of sorts, filled mainly with plankton. Fishermen or recreational sailors rarely come through the central North Pacific Ocean. Currents there rotate in a ceaseless gyre. 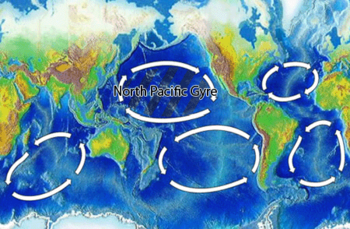 That is where you find the Great Pacific Garbage Patch, as it is technically known. Enormous gross plastic sludge, to the less scientific-minded. It’s a floating mass of plastics, chemicals, and astronomical numbers of disintegrated grocery bags – the largest landfill in the world. The mess has been trapped in the pervasive currents, which pull garbage into their vortex from households far away. The size of the Patch has been put at twice the area of Texas. Yes, that’s what I said. 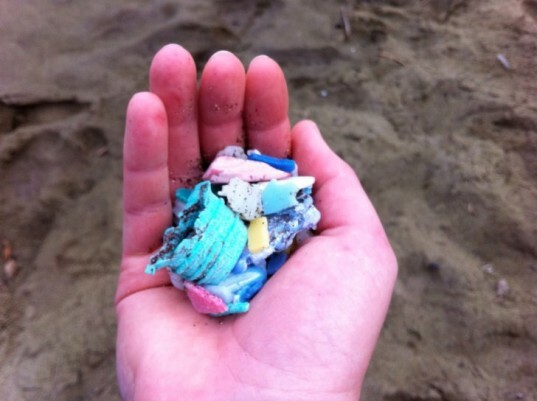 San Diego’s Scripps Institution of Oceanography found recently that plastic in the Great Pacific Garbage Patch had increased by 100 times the amount of what was found in the region 40 years ago. In 1997, a sailor named Charles Moore was returning home from a race when he came upon a stretch of debris of monstrous dimensions, most of it suspended below the surface, in a configuration that’s been called “confetti-like”. One hundred million tons of trash. That’s what it is. 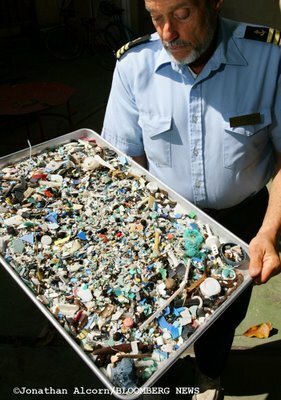 Broken down into small-enough pieces to be ingested by marine critters like the sea turtle and the black-footed albatross, when the current brings garbage from the gyre to the Midway Atoll. Captain Moore, who can be heard giving a TED talk, now heads a foundation to clean up all the plastic. In America, we use two million plastic beverage bottles every five minutes – but what’s worse than bottles is bottle caps. 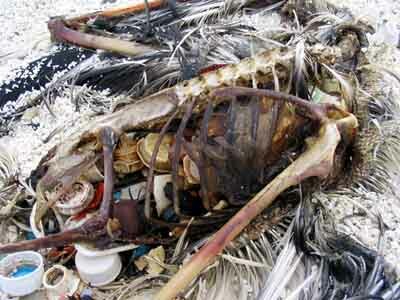 That’s what albatross moms feed their chicks, thinking they’re food. Part Two: Man cleans up water. Or rather woman cleans up water. Young genius woman. With the help of oysters. In New York City. 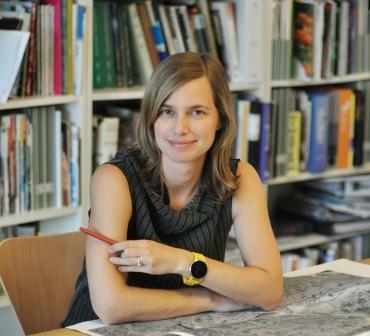 Isn’t this great: a landscape architect named Kate Orff had an idea that respects history and the environment all at once. Under the auspices of a project called Oyster-texture, she and her team at Scape/Landscape Architecture P.L.L.C. are attempting to reinstall oyster archipelagos in Gowanus Canal, Brooklyn, currently a toxic Superfund site. 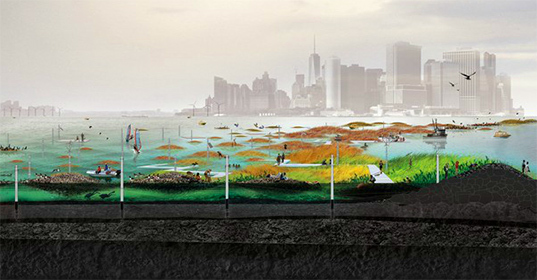 It’s an effort to blend urbanism and ecology in a new and exciting way, on a working pier, in the middle of the polluted harbor. Up until 100 years ago, the palm-size bivalves were a mainstay of New York’s gastronomy, its economy, and, it turns out, its ecology. 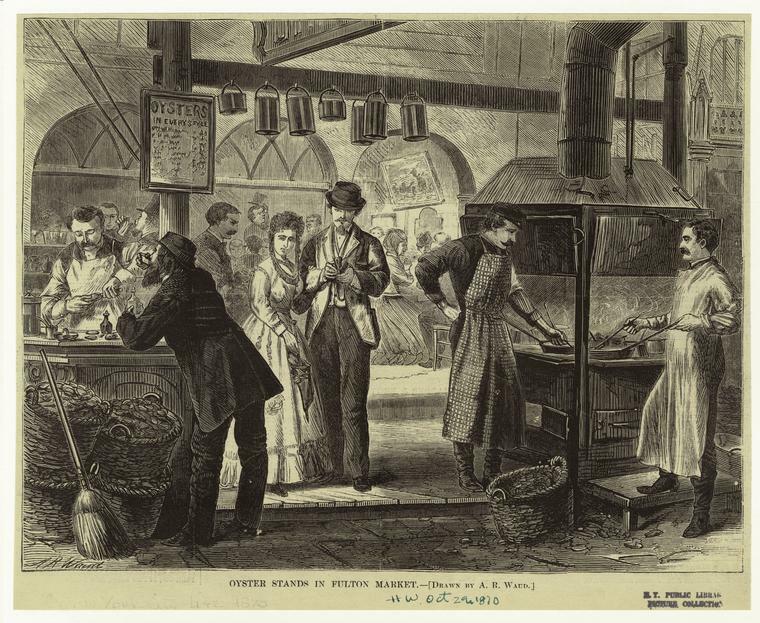 You’d get oysters from a street peddlar the way you get a hot dog now. 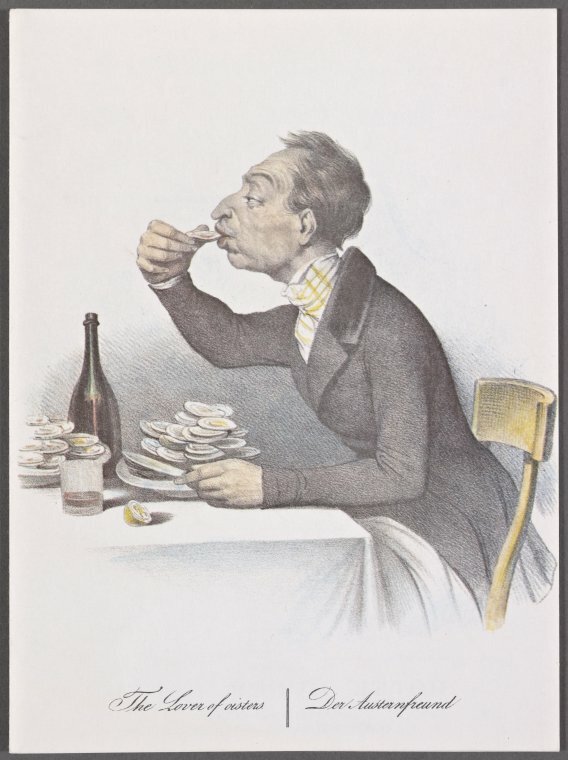 Oysters were so healthy, back when New Amsterdam was first settled, they could be found as big as a dinner plate. Manhattan’s indians consumed them in such quantitites, you’d find huge middens of shells all over the island. 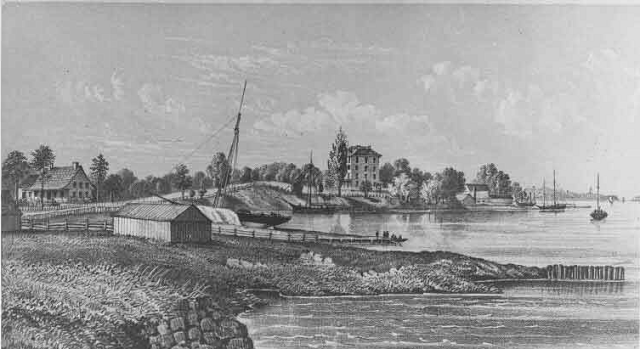 The Gowanus Creek in particular was a harvesting place for the succulent shellfish – they were so good, they were harvested by the Dutch and shipped back to Europe. Oysters died off. 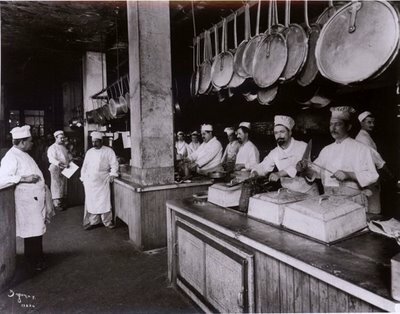 No more local oysters at the Oyster Bar in Grand Central Station, one of my favorite haunts. Oyster reefs used to cover a quarter of New York harbor. Now, none of it. She decided to use a cheap marine mainstay she refers to as “fuzzy rope” and build nets for the shellfish to cling to. (They brought knitters in to weave prototypes in the studio rather than drawing them.) Ultimately the reefs will serve as storm surge protectors and habitat for sea birds. Orff has big plans. She did a project for the Museum of Modern Art that laid out what could happen in Brooklyn if the oysters took hold. Ultimately there would be a floating raft with oyster nurseries below and recreational opportunities above. You can hear all about it in, yes, her TED lecture . Clean water, local oyster slurping (far from now, probably). Scuba diving. A watery jog-park. But, mainly, clean water. If you read some of the early journals of people who came to Manhattan and the Hudson Valley, the descriptions of what they saw are amazing. And I don’t know if I’ve mentioned a book called Mannahatta, that analyzes the natural elements on the island before Europeans got ahold of it. It’s good to see that there is talk of reinstating the oyster beds and reefs! I have also seen plans of a boat that could be made and manned by people that would harvest that plastic and ship it back to the mainland to turn it into – what else – plastic things. Most plastic bottles are recycled these days, but those bottle caps are still thrown away, as are the wrappers that they use instead of the old paper lables. That reduced the problem, but it didn’t eliminate it. All plastic is recyclable. We need to develop packaging that either doesn’t need to be thrown away or can be composted. Also the Sargasso Sea, in the Atlantic, much the same problem.